Pittsburgh Steelers vs. Los Angeles Rams Tickets - 11/10/2019 - Heinz Field in Pittsburgh at Stub.com! Mobile Entry Tickets. Must have smart device on hand to enter event. Do not print these tickets. Tickets will be ready for delivery by Oct 11, 2019. Mobile Entry Tickets. Must have smart device on hand to enter event. Tickets will be ready for delivery by Nov 06, 2019. Tickets will be ready for delivery by Nov 05, 2019. XFER Mobile Entry. Scan your tickets from your mobile phone for this event. Tickets will be ready for delivery by Jul 31, 2019. Mobile Entry Tickets. Must have smart device on hand to enter event. Do not print these tickets. Tickets will be ready for delivery by Nov 10, 2019. XFER Mobile Entry. Scan your tickets from your mobile phone for this event. Tickets will be ready for delivery by Nov 08, 2019. Tickets will be ready for delivery by Nov 04, 2019. Aisle Seats. Tickets will be ready for delivery by Nov 06, 2019. Mobile Entry Tickets. Must have smart device on hand to enter event. Do not print these tickets. Limited view seating. Tickets will be ready for delivery by Nov 08, 2019. Mobile Entry Tickets. Must have smart device on hand to enter event. Do not print these tickets. Aisle seats. Tickets will be ready for delivery by Jul 01, 2019. Home teams side. If more than four (4) tickets are purchased from this group your tickets may be adjacent to each other in two consecutive rows. Tickets will be ready for delivery by Jun 01, 2019. Mobile Entry Tickets. Must have smart device on hand to enter event. Do not print these tickets. Aisle seats. Tickets will be ready for delivery by Nov 09, 2019. Home teams side. Tickets will be ready for delivery by Jun 01, 2019. Mobile Entry Tickets. Must have smart device on hand to enter event. Do not print these tickets. 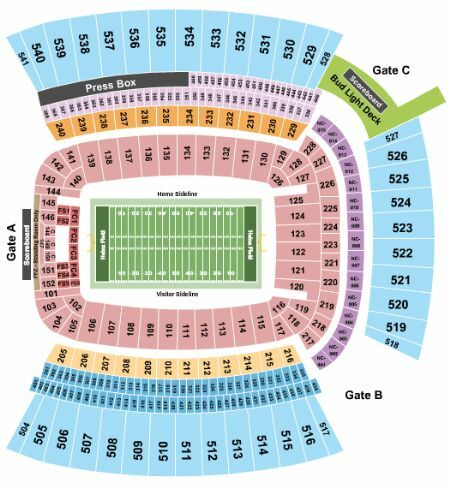 Tickets purchased in this section will be in the same box but may be located in consecutive rows or piggyback row (one seat directly in front of the other). Tickets will be ready for delivery by Jul 01, 2019. If more than four (4) tickets are purchased from this group your tickets may be adjacent to each other in two consecutive rows. Mobile Entry Tickets. Must have smart device on hand to enter event. Do not print these tickets. Tickets will be ready for delivery by Aug 03, 2020. Mobile Entry Tickets. Must have smart device on hand to enter event. Do not print these tickets. Aisle seats. Tickets will be ready for delivery by Nov 08, 2019. Home teams side. Third row. Home teams side. Tickets will be ready for delivery by Apr 24, 2019. Home teams side. Tickets will be ready for delivery by May 15, 2019. Tickets will be ready for delivery by Aug 03, 2020. XFER Mobile Entry. Scan your tickets from your mobile phone for this event. Do not print these tickets. Tickets will be ready for delivery by Nov 06, 2019. Home teams side. Tickets will be ready for delivery by Aug 03, 2019. Fifth row. Home teams side. Tickets will be ready for delivery by Jun 01, 2019. Home teams side. Sixth row in this section. Tickets will be ready for delivery by Jun 01, 2019. Standard Hotel Package includes 2 nights at a 4-Star hotel near the venue (check-in day before game, check-in day after game) | Upper Level end zone game ticket in sections 518 thru 527 (orders of three or more may be split) | 3 hour private pregame Sailgate Party aboard a luxury yacht featuring game day buffet, unlimited domestic beer and wine, cash bar, photo/autograph session with a Steelers legend, TVs showing pregame broadcast and more | Gift bundle (1 per person) | Ticket upgrades - additional hotel nights or specific days may be obtainable upon request | Rate is based on double occupancy | Orders for a quantity of one are subject to an additional charge |. Deluxe Hotel Package includes 2 nights at a 4-Star hotel near the venue (check-in day before game, check-in day after game) | Roundtrip airport transfers | Lower Level end zone or corner game ticket in sections 115 thru 130 or 139 thru 106 (orders of three or more may be split) | 3 hour private pregame Sailgate Party aboard a luxury yacht featuring game day buffet, unlimited domestic beer and wine, cash bar, photo/autograph session with a Steelers legend, TVs showing pregame broadcast and more | Gift bundle (1 per person) | Ticket upgrades - additional hotel nights or specific days may be obtainable upon request | Rate is based on double occupancy | Orders for a quantity of one are subject to an additional charge |. Home teams side. These seats are on the aisle with purchase of the entire group. Tickets will be ready for delivery by May 01, 2019. First row. Home teams side. These seats are on the aisle with purchase of the entire group. Fifth row. Home teams side. These seats are on the aisle with purchase of the entire group. Tickets will be ready for delivery by May 01, 2019.